Practical Human Factors for Pilots bridges the divide between human factors research and one of the key industries that this research is meant to benefit—civil aviation. Human factors are now recognized as being at the core of aviation safety and the training syllabus that flight crew trainees have to follow reflects that. 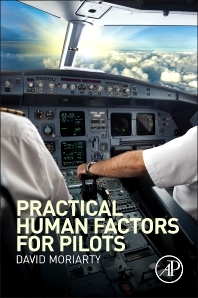 This book will help student pilots pass exams in human performance and limitations, successfully undergo multi-crew cooperation training and crew resource management (CRM) training, and prepare them for assessment in non-technical skills during operator and license proficiency checks in the simulator, and during line checks when operating flights. Each chapter begins with an explanation of the relevant science behind that particular subject, along with mini-case studies that demonstrate its relevance to commercial flight operations. Of particular focus are practical tools and techniques that students can learn in order to improve their performance as well as "training tips" for the instructor. 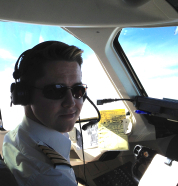 Pilot and flight crew instructors in military, government, and commercial settings; Graduate students in human factors and aviation psychology courses; academic researchers in human factors area. 1.2 What is human factors?